The importance of not over indulging this Halloween. Today is Halloween and many people like to dress up and go trick or treating and are given sweets as a treat. The supermarkets are over stocked with sweets on the aisles and sweets and chocolate tend to be the treat of choice to celebrate Halloween. However, eating too many sweet treats can lead to tooth decay and people should be mindful of this whilst trick or treating. In order to prevent tooth decay, it is necessary to brush teeth regularly and have a healthy diet and avoid eating too many sugary snacks and drinks. It is also important to attend the dentist for regular check ups or as and when directed by your dentist. The extraction of teeth can be a daunting experience and if a number of teeth require extraction this can cause anxiety, pain and suffering and in some cases a fear of attending the dentist. Therefore, it is important that people try and maintain a good level of oral hygiene to prevent problems. Halloween can be the time that many people over indulge and eat a lot of sweets or chocolates in one sitting or over a period of time. 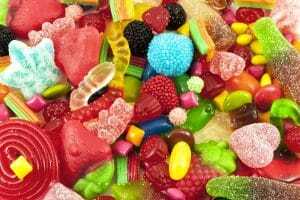 Whilst people should not necessarily refrain from eating a few sweets or chocolates this Halloween, it is important to be mindful of your dental health to avoid problems. It is also important to be mindful of your dental health throughout the year and not just at Halloween. If you are celebrating Halloween, then it is probably best to try and eat sweets or chocolates in moderation. Mayo Clinic, what conditions may be linked to oral health?